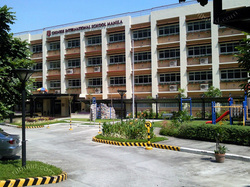 International School Manila is a private school located in Fort Bonifacio,Taguig City. The school offers elementary school (including a two-year preschool and the Early Childhood Learning Center ECLC),middle school, and high school. It is a co-educational and is accredited by the Philippine Department of Education and the Western Association of Schools and Colleges. 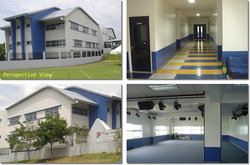 British School Manila is one of the private international schools that you can find in Fort Bonifacio. It offers British education, following the English National Curriculum from Nursery to year 13. Students are prepared for National Curriculum Tests at ages 7,11, and 14, GCSE at 16 and International Baccalaureate at 18. 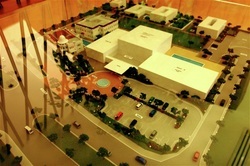 It is located in Fort Bonifacio beside the International School Manila and the Manila Japanese School. One of the best Culinary Schools in the country, Enderun College boasts of its over the top culinary facilities, and academic partnerships with international hospitality schools and a placement program after their students' graduation. Some of their academic partnerships are the Les Roches International School of Hotel Management with campuses in Switzerland and Spain, and Kendall College in Chicago. These partnerships allow students from Enderun continue their education in these places and obtain European or American degrees. Korean International School Philippines is one of the international schools that you can find in McKinley Hill. The school offers three kindergarten levels, six years in the elementary, three years in middle school, and another three years in high school. 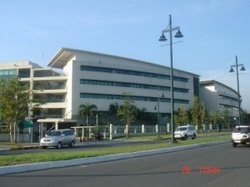 It is also located at Fort Bonifacio, Taguig City. The Chinese International School Manila also one of the international schools that is situated in the McKinley Hill, Fort Bonifacio. It offers a unique K-12 curriculum matched with an immersion in the Mandarin Chinese and English language. Its vision is to be one of the most respected and leading international schools in the Philippines.